FILLED BLEACH BOTTLES -1oz Bottles with warning label. White bleach resisitant cap is used. 1 oz. white bottle labeled with blue 'BLEACH' label is filled with bleach and sealed with our white bleach resistant lined cap. 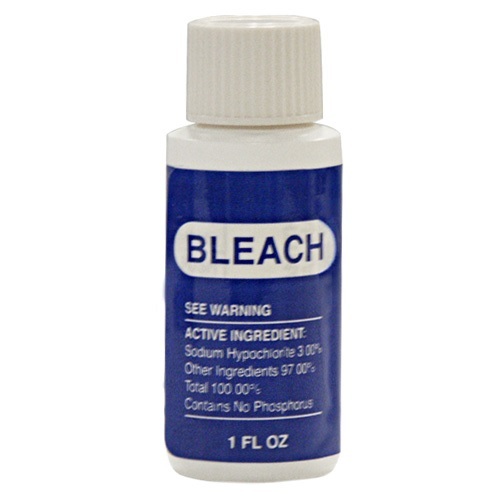 For safety, the labeling identifies contents as 'BLEACH' with the appropriate warnings regarding contact and consumption.